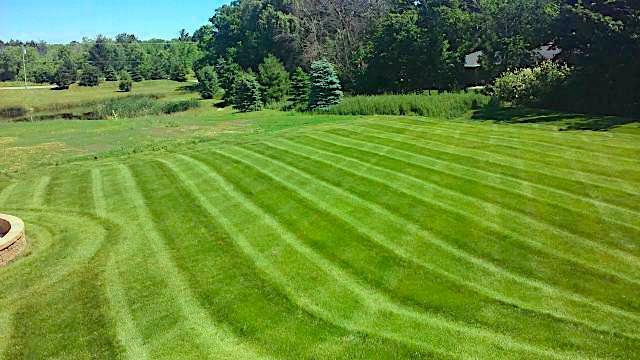 HOMEOWNERS, BUSINESSES & PROPERTY MANAGERS THROUGHOUT KENOSHA, WISCONSIN RELY ON DMT PROPERTY MAINTENANCE FOR THE VERY BEST LAWN MOWING & GRASS CUTTING SERVICES AROUND! DMT Property Maintenance is Kenosha’s premier lawn mowing service, landscaping team and full-service lawn care provider. We work with both residential and commercial customers, so whether you’re looking for lawn mowing services for your home or business, give the professional lawn care pros at DMT Property Maintenance a call! 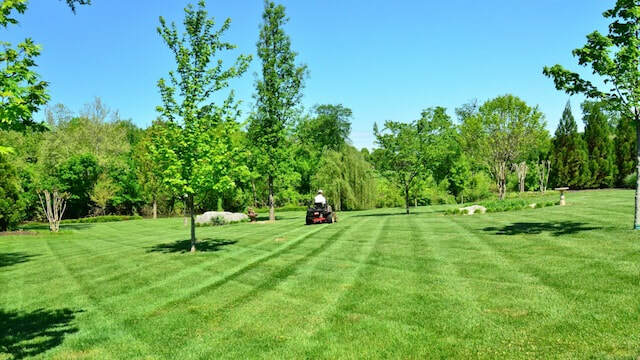 ​DMT Property Maintenance is Kenosha’s premier lawn mowing service, landscaping team and full-service lawn care provider. We work with both residential and commercial customers, so whether you’re looking for lawn mowing services for your home or business, give the professional lawn care pros at DMT Property Maintenance a call! ​​Our uniformed team members will mow and trim your residential or commercial property, then blow the sidewalks and driveway clear of any grass clippings so everything looks neat, clean and presentable. We’ll never leave a mess behind! DMT Property Maintenance makes keeping your lawn and grounds looking their best easy with our Annual Pre-Scheduled Maintenance Packages. We can create a custom package that includes regular lawn mowing along with services for all four seasons – Fall Clean-Up, Winter Snow and Ice Management, and Fall Clean-Up. Best of all, an annual service agreement gives you a discount on all the services in your package. If you own or manage multiple properties, DMT offers multiple property discounts to both residential and commercial customers. We're here to provide the highest quality service and value, so contact us for a free quote and to learn more about our multi-property discounts - HOAs, apartment complexes, professional property management companies welcome! Business owners and property managers looking for the very best Kenosha, WI grass cutting, contact DMT today. Our lawn care teams are fast, efficient and will make your grounds and property look great all year long. We offer flexible scheduling and easy billing options to ensure the lawns and grass at your business look great and make a great impression to your guests, visitors and customers. DMT Property Maintenance is an independent, locally owned and operated lawn care and landscaping service located in Kenosha, Wisconsin. We serve commercial and residential customers throughout the Kenosha and Racine areas, including Pleasant Prairie. 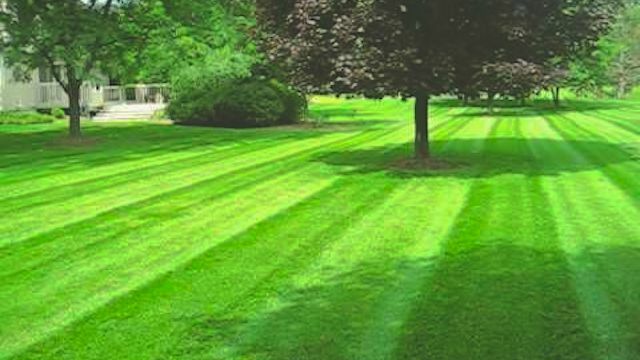 If you’re looking for the top Pleasant Prairie lawn mowing service or would like a free estimate on our grass cutting service, call us or fill out our contact form today. Ready for a no cost, no obligation free estimate for your residential or commercial property? Contact DMT and we’ll provide you with a free quote for our professional lawn care services. Call us at the number on this page, email us at ​​dmt.llc@outlook.com or fill out the Online Free Quote form below. When you’re looking for the very best, experienced professionals for grass cutting Kenosha, you’ll want a team that has a track record of quality work, outstanding customer service and positive customer reviews… look no further than DMT Property Maintenance for all three. ​Check out our customer reviews page to see all the positive feedback our customers have left. At DMT, quality is our top priority – both in the quality of our lawn mowing and landscape services, and the quality of our customer service. "DMT completely redesigned my landscape. Install was smooth and on schedule. I've hired them to do my weekly lawn maintenance. Dave and his crew are very knowledgeable and easy to talk to. Very professional." - Angela C.